We are less than one week away from the Fourth of July and I am so excited! July 4th is one of my favorite holidays... mainly because my birthday is 6 days later on the 10th! 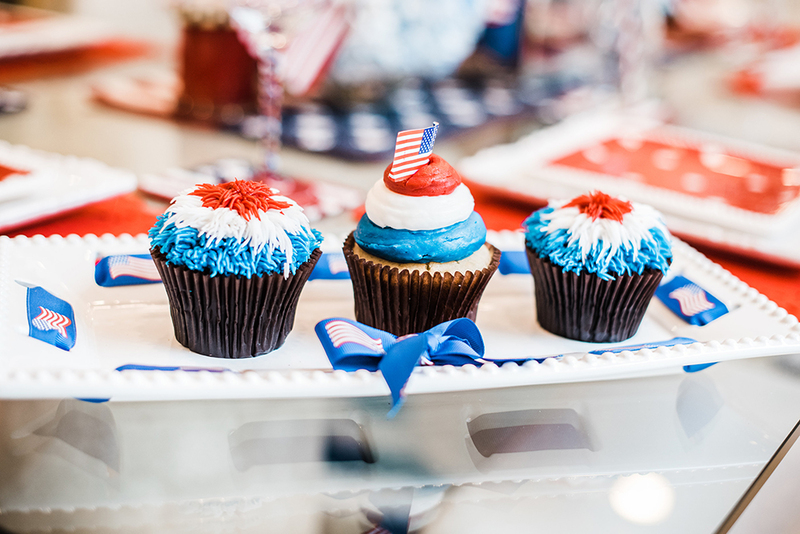 ;) But I really do love going all out with red, white, and blue, and having backyard and poolside barbecues to celebrate our nation's birthday! Of course, what is any celebration without cupcakes?! How adorable are these themed cupcakes...I'm being so serious here: I DIDN'T eat one and it was like the victory of a lifetime!! Can someone give me a trophy please!? I am so thrilled to share these adorable photos of our impromptu Fourth of July photoshoot and fun girls morning at our friend Jennifer's house; Jennifer goes ALL out for holiday decor and the Fourth is no exception! 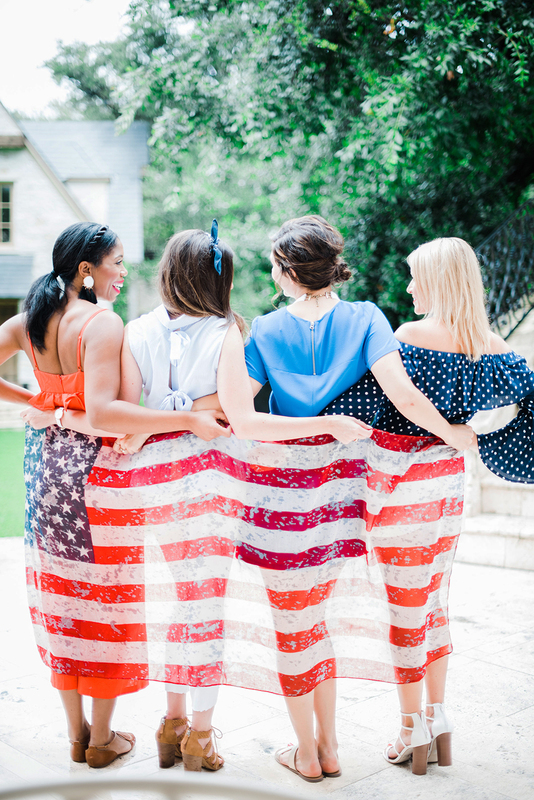 You can see her home in all of its patriotic splendor on Instagram (@turtlecreeklane) - prepare to be amazed! I got together with Stephanie, Hailey, and Hayley for this fun themed shoot and it was a great morning because I got to connect with two new blogger babes and have a great time with our wonderful photographer, Audrie! I love that each of our outfits are so different- we didn't give each other any direction except "patriotic" for our outfit theme and I think they all go together and reflect our personalities so well! Each of these girls were such a joy to shoot with and that's one of my favorite things about blogging! We had so much fun taking turns shooting in front of this adorable backdrop at Jennifer's house made out of paper plates and paper clips! Seriously, you don't have to spend a ton of money to add a little photobooth fun to your July 4th event- everyone loves a good photobooth, so add that to your BBQ to-do list! Photos by Sweet Memory Photography at Turtle Creek Lane.